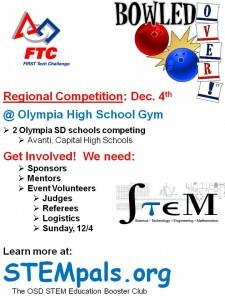 The OSD STEM Robotics program will be hosting the FIRST Tech Challenge Regional Qualifier on December 3-4, 2011 at Olympia High School. The hours are 5-9pm on the 3rd and 9am to 4pm on the 4th. Event volunteers and sponsors are needed. 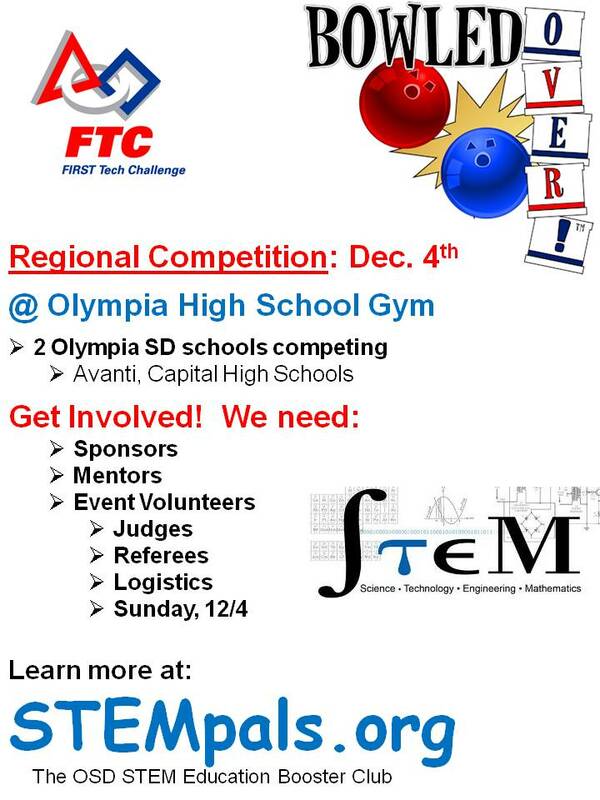 If you are interested in becoming a STEM Pal by sponsoring an OSD high school team, please click here to get more details.